In an era when even the finest rugby coaches have a drastically short shelf-life, Ian McGeechan's longevity and adaptability is staggering. In his 20 years at the highest level of the game he has been at the centre of almost every major story in UK rugby and has worked alongside some of the greatest rugby figures of the era. McGeechan began his career as a player -- winning more than thirty caps for Scotland and twice touring with the Lions. As coach to the Scottish national team, he led his country to a famous Grand Slam victory in the 1990 Five Nations tournament. Most recently, as coach of Wasps, McGeechan has guided the team to complete dominance in the club game. Continued success in management earned him an appointment as head coach to the Lions on five separate occasions, more than any other, including the Lions' latest 2009 tour to South Africa. 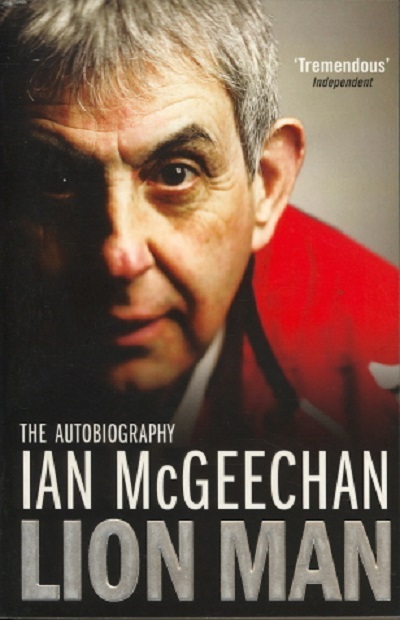 Now, in this frank and engaging memoir, Ian McGeechan shares his unrivalled insight into the triumphs and tribulations of British rugby and of the progress of the sport over the past two decades. Lion Man offers a unique glimpse into the past, present and future of British rugby from one of the most influential figures in the history of the sport.